We like to go in the fall and pick apples. 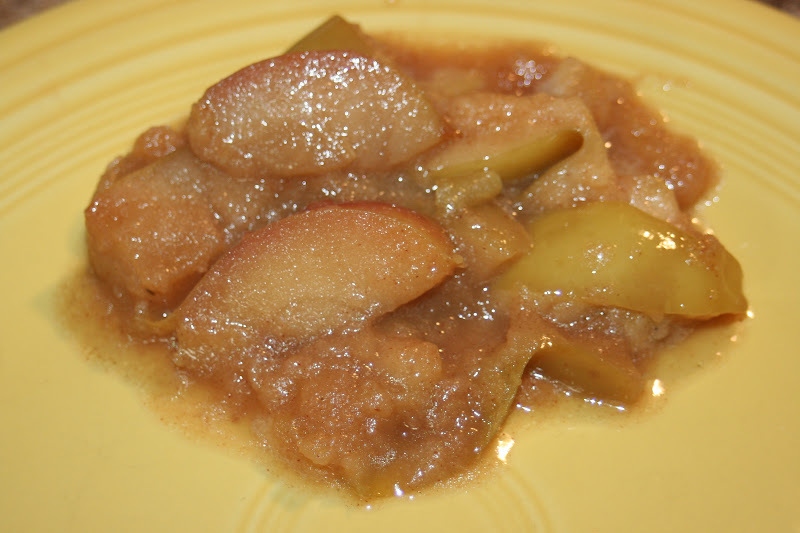 I make apple butter and applesauce and then I freeze apples for pies, cobbles and for this side dish. 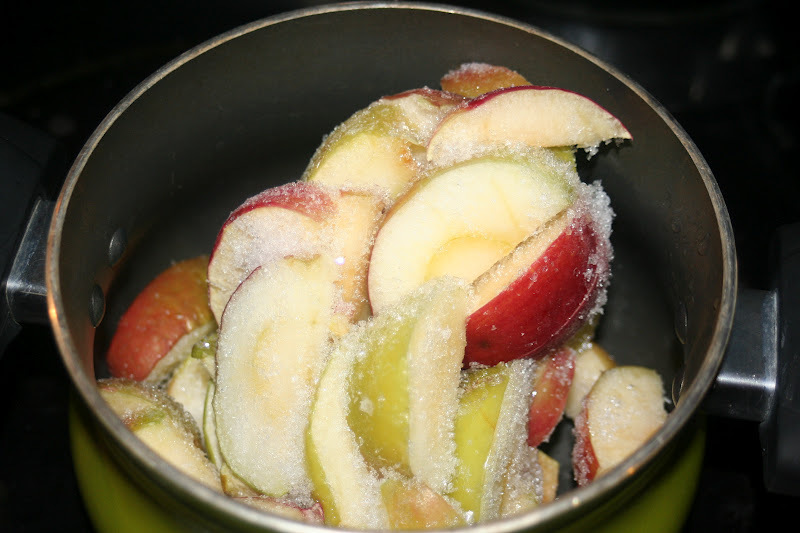 Put apples and all other ingredients (except honey) in a pot. I cooked them on medium low until they were tender and boiling a little. 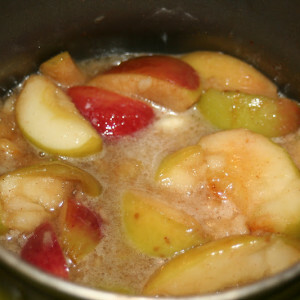 When I made the second version with the honey I didn't add it until the apples were tender. 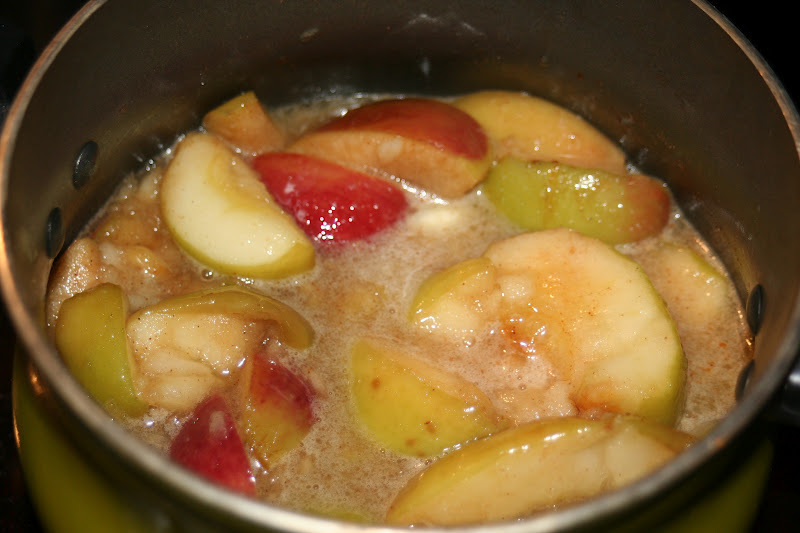 I poured it in and stirred all ingredients and let them simmer for a few minutes. Try not to cook too long or they will really fall apart. This is a quick and easy side dish. You apples will probably look better than mine. The pics were a bag that I had had frozen for a while and needed to use up so they really fell apart. I made them again last night using the second version with honey and I think I liked the taste better that way. They had a great flavor and less sugar and calories involved! My husband really liked them too.